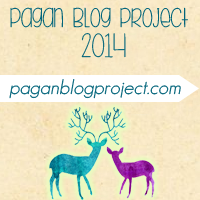 This week, I discovered the Pagan Blog Project – it’s essentially a blog challenge, focusing on Pagan stuff. I’m supposed to post every week (or every other week) on Friday about something pagan dealing with a specific letter, spending 2 weeks on each letter. Since one of my goals is to be more consistent on the blog, I think this will help me and help make the blog better. I chose Archetype for this first post. Archetypes are sort of a . . . pattern for things. What’s that got to do with modern Paganism? If you look at different cultures through time, there are different themes that show up over and over. The innocent, sweet, kind, young woman (maiden). Wise old teachers, male and female. Fathers, philandering husbands, and the Hero. These days, when I read mythologies, I see the Gods/Goddesses as divine archetypes – examples and amplifications of human behavior. There are still lessons to be learned in the ancient stories, from these archetypes. I have been away from Pagan politics and the evolution of modern Pagan thought for some time now. When I went to research and refresh my memory on a few things, I came up with several blogs/articles about people being down right angry about my point of view, as if seeing the Gods as archetypes somehow takes away their. . . divineness? God-ness? I’m not going to link them, because I found them to be a little too . . . hidebound for me. I fully admit that I’m not as religious as I used to be, in any sense of the word. I think what I think, I feel what I feel, I work my own way and don’t worry about how others do theirs. I don’t think everyone needs to follow my path, and mine has evolved over time. Raised loosely in a Protestant Christian tradition, I do still think that there is something we don’t yet fully understand that may be called Divine. I think every culture has tried to connect with this Divine thing in various ways. I think our brains are finite, and so by nature cannot fully encompass the entirety of this thing. And so, we create stories around the parts we can see/find. And as the stories grow, belief in the entity grows, and the entity becomes something new. To me, using archetypes to define and describe the Gods is not sacrilege – it does not take away from divinity. It creates a path to understanding of the Gods, of humanity, and of ourselves. Here’s some scholarly info on Jung and archetypes to get you started. This is part of the reason I call myself “Jello polytheist” LOL, I fall between the “hard” and “soft” its JELLO. I cant quite wrap my head around all God/dess being unique individuals when so many are so similar, but I cant quite fit the “all Gods are one” though I think all lead to the same SOURCE, which would, I think be described as “The One”, “Source” or “The All”. In the end they are GODS and don't have to follow the rules we set for them, besides shape-shifters abound in mythology! I used to joke that there were only 17 basic archetypes of people. The older I get , the more convinced I become that that's not far off the truth. Boy oh boy did this really hit it on the head for me….”I think what I think, I feel what I feel, I work my own way and don't worry about how others do theirs. I don't think everyone needs to follow my path, and mine has evolved over time.” Absolutely. Hi! I wandered over from the PBP.